Rose Melikan was born in Detroit, Michigan and grew up in nearby Dearborn. She obtained degrees in English, Law, and History at the University of Michigan and the University of Chicago before moving to Cambridge, England in 1988 to complete her Ph.D. at Gonville & Caius College. 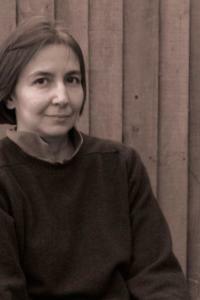 Since 1993, Rose has been a Fellow of St Catharine's College, Cambridge, and she lectures on British Constitutional History in the University's Law Faculty. You can read more about her academic work on her faculty page. Rose lives in Cambridge with her husband, Quentin. ...this is an intriguing espionage novel that rings true...THE MISTAKEN WIFE is sure to please mystery fans with an interest in history. With the perfect combination of humour, melodrama and suspense, The Blackstone Key is a classic adventure story - with a charm I couldn't resist! Packed with excitement, twists and turns, The Blackstone Key is a highly entertaining book that is firmly rooted in historical fact. You are sure to find Mary charming and witty as she pursues her quest to solve a very intriguing mystery.